The most popular attraction there is the archaeological site of Brú na Bóinne, or, "dwelling place of the Boyne." Upon arrival, visitors get appointments to tour the 5,000-year-old-passage tombs: Newgrange and Knowth (rhymes with "south"). Thought-provoking and mind-bogglingly old, these tombs can give you chills. Exploring them, you begin to understand the reverence that ancient people had for nature, and the need they felt to bury their dead in great tombs. These massive grass-covered burial mounds were built with a deep chamber inside, reached by a narrow stone passage. 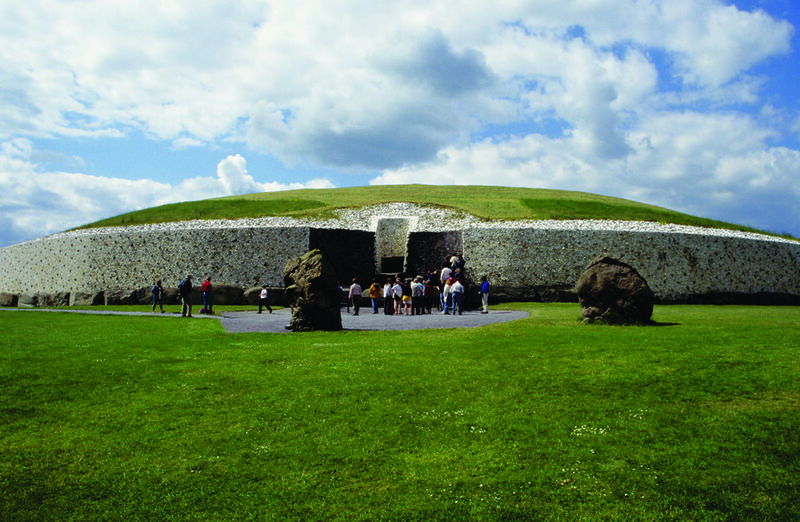 Both tombs are worth seeing, but if you have time for just one I'd pick Newgrange, because you can go inside (bonus: it's also the more famous of the two). Dating from 3200 B.C., Newgrange is 500 years older than the pyramids at Giza. Like Stonehenge, the ancients aligned this monument with the stars. At dawn on the winter solstice, the sun's rays hit a small "roof box" opening above the narrow passage. The beams reach deep into the burial chamber, illuminating its inner reaches for 17 minutes with a natural light show. While we know nothing of Newgrange's builders, this most certainly was a sacred spot — for a cult of the dead, a cult of the sun, or both. This grassy mound, 250 feet across and 40 feet high, is ringed by dozens of "kerbstones," each about nine feet long and weighing five tons. In front of the doorway lies the most famous of the kerbstones, the 10- by 4-foot entrance stone. Its left half is carved with three mysterious spirals, which have become a kind of poster child for prehistoric art. A guide takes visitors deep into the tomb — down a 60-foot narrow passageway, leading to the cross-shaped central chamber under a 20-foot-high igloo-type stone dome. The ancients placed bones and ashes here, under 200,000 tons of stone and dirt, to wait for that special winter's moment. In an awe-inspiring climax, the guide turns off the lights, submerging you in total darkness. Then he switches on a distant light that gradually brightens, re-creating the rays of the sun as seen on the shortest day of the year. A short drive to the south takes you to the Hill of Tara — the most important center of political and religious power in pre-Christian Ireland. 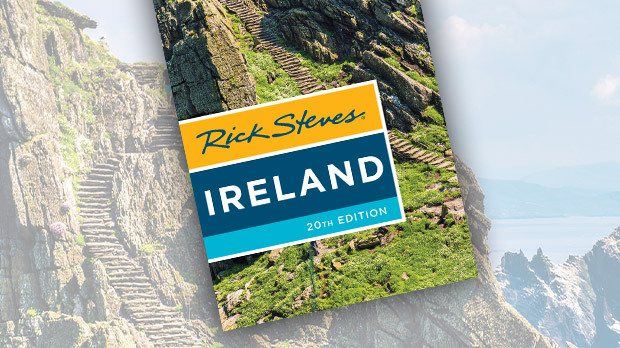 This is where Ireland's ancient kings claimed their throne, and where St. Patrick preached his deal-clinching sermon that converted the pagans to Christianity. Aerial views of the hill show plenty of mystifying circles and lines, but on ground level there's more to feel than to see. As you wander among the well-worn ditches and hills, you'll see the Mound of Hostages (a Bronze Age passage grave, c. 2500 B.C. ), a couple of ancient sacred stones, and a war memorial. Standing on the Hill of Tara, it's powerful to imagine the history of this land as you take in views over the Emerald Isle. Farther north in the same valley, the pastoral, riverside site of the Battle of the Boyne is one of Europe's most pivotal battlegrounds. In the battle that occurred here, the Protestant British broke Catholic resistance, establishing Protestant rule over all Ireland and Britain. The site's visitors center is housed in a mansion built on the battlefield, but the real attraction is reached by crossing the River Boyne on a metal bridge. This spot, called Oldbridge, is where the most frantic action took place on that bloody day in 1690. 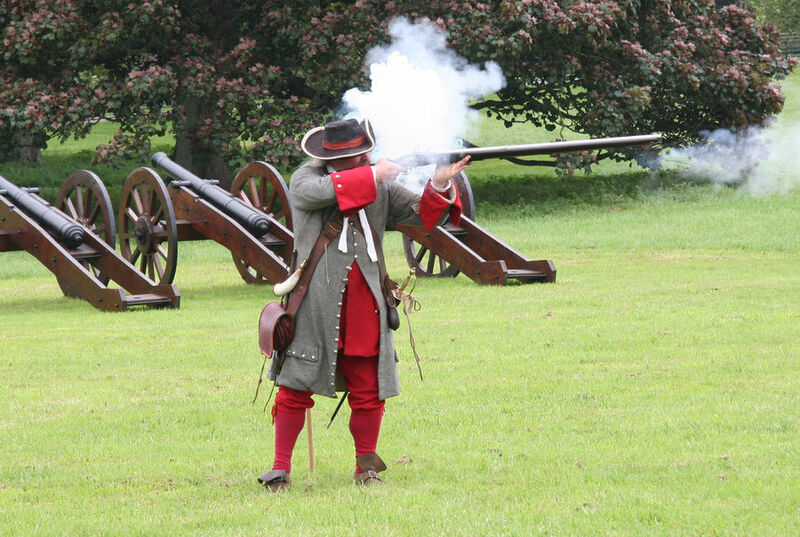 If you're there in the summer, go on a Sunday afternoon for a "living history" demonstration. Guides clad in 17th-century garb give musket-firing demos and re-create a cavalry charge at full gallop. The green Boyne Valley is a joy by car, and all the sights described here are within a 30-minute drive of one another. The valley's roads may be tiny, but they're well-marked with tourist-friendly road signs. If you eat your Weetabix and get an early start, you could see the entire region in a day: Visit the capital of ancient Irish kings, crawl through burial mounds older than the pyramids…and be back in Dublin in time for dinner and a pub crawl.